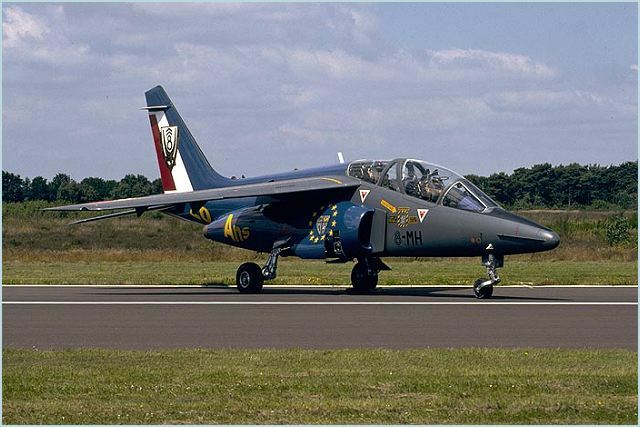 The Dassault/Dornier Alpha Jet is a light attack jet and advanced trainer aircraft co-manufactured by Dornier of Germany and Dassault-Breguet of France. 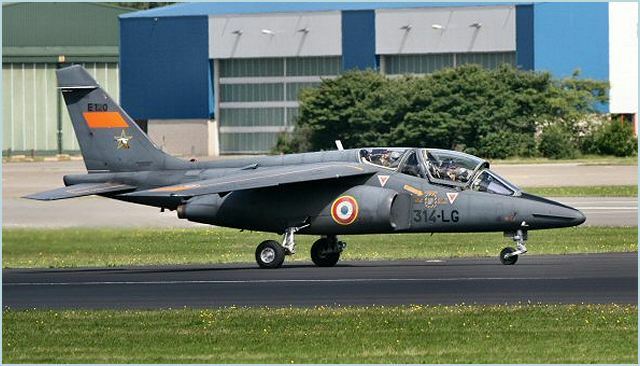 One of a number of international aircraft development and production programs that have been initiated since the end of World War 2, the Dassault-Breguet/ Dornier Alpha Jet was announced as a design and development program on 22 July 1969. Both France and West Germany required a new subsonic basic/advanced trainer and light attack aircraft to replace in-service Lockheed T-33A, Fouga Magister and Dassault Mystere IVA trainers and Aeritalia (Fiat) G91 attack aircraft. 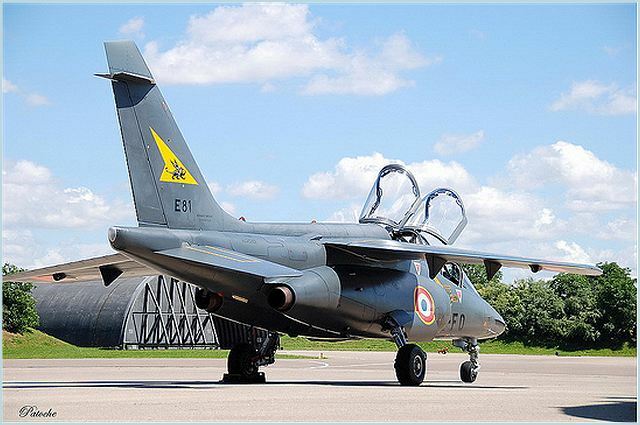 Following a design submission by Dassault-Breguet and Dornier to meet this requirement, it was announced on 24 July 1970 that the Alpha Jet had been selected and French and West German government approval for a start to the program was given in late 1972. Following evaluation of prototypes the go-ahead for production in quantity was given on 26 March 1975. 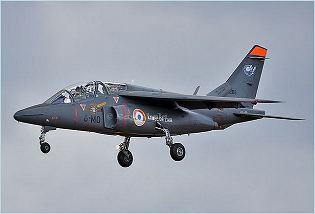 A cantilever shoulder-wing monoplane of all-metal construction, the Alpha Jet has a swept wing and tail surfaces, retractable tricycle landing gear, accommodation for two persons in tandem seated on ejection seats, and powerplant comprising two SNECMA/Turbomeca Larzac turbofan engines. 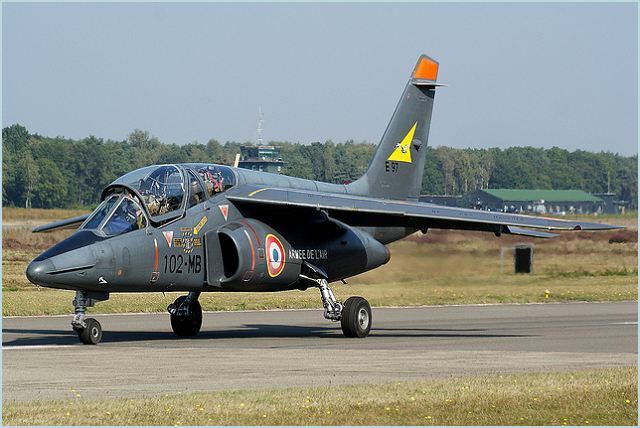 The first of four prototypes made its maiden flight on 26 October 1973; delivery of the Alpha Jet E for the French Air Force began during the summer of 1978 and of the Alpha Jet A for the Federal German Luftwaffe in March 1979. 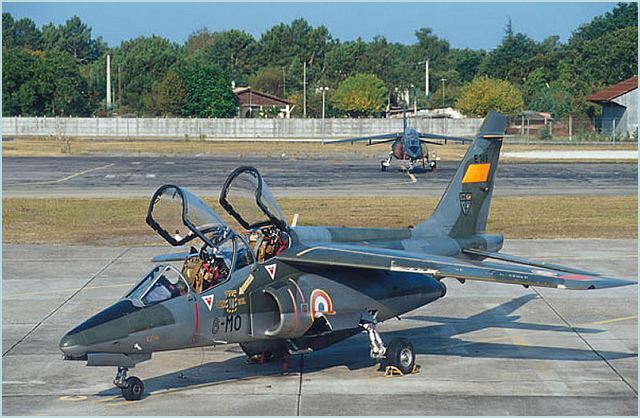 The initial requirements of these two services, 200 and 175 respectively, were almost completed in early 1982 and orders for all versions of the Alpha Jet were then nearing the 500 mark, of which almost 80 per cent had been delivered. They include, in addition to the French and German requirements, examples for Belgium (33) Egypt (45), Ivory Coast (6), Morocco (24), Nigeria (12), Qatar (6) and Togo (5). 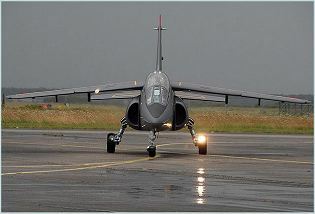 One Alpha Jet A was modified during 1980 to evaluate an experimental transonic wing of super-critical section which has been developed by Dornier. Other changes to this aircraft, first flown in its new form on 12 December 1980, include the incorporation of leading and trailing-edge maneuvering flaps. - Alpha Jet NGEA (Nouvelle Generation d'Ecole et d'Ataque): latest development which incorporates new avionics, head-up display, inertial navigation and a laser rangefinder to provide optimum weapon-delivery capability. 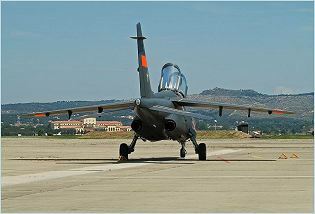 A cantilever shoulder-wing monoplane of all-metal construction, the Alpha Jet has a swept wing and tail surfaces, retractable tricycle landing gear, accommodation for two persons in tandem seated on ejection seats. The different avionics fit makes French and German Alpha Jets easy to tell apart, with French machines featuring a rounded-off nose and German machines featuring a sharp, pointed nose. 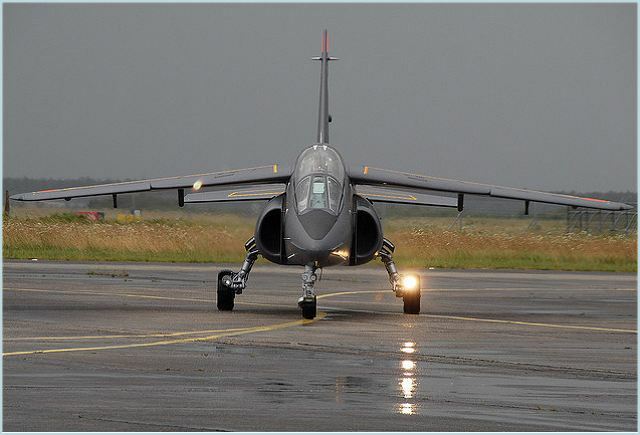 The German Alpha Jet A variant features a comprehensive navigation/attack suite. 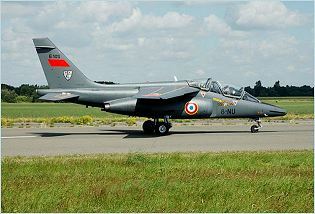 In the 1980s appeared an improved variant called the Alpha Jet NGEA equipped with new avionics and compatibility with Matra Magic air-to-air missiles. The new Alpha Jet, featuring a SAGEM ULISS 81 INS, a Thomson-CSF VE-110 HUD, a TMV630 laser rangefinder in a modified nose and a TRT AHV 9 radio altimeter, with all avionics linked through a digital databus. 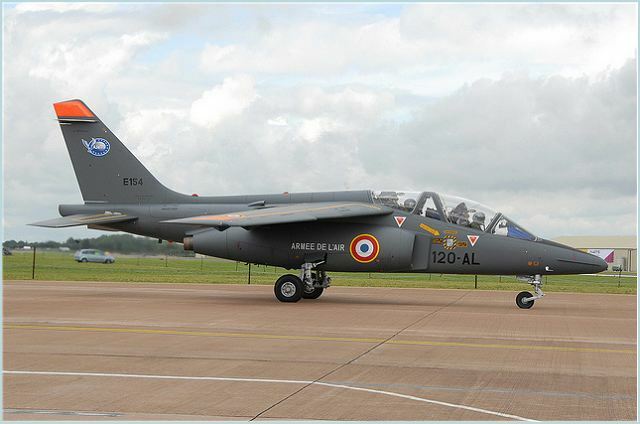 The Alpha Jet is powered by two 1350-kg thrust SNECMA/Turbomeca Larzac 04-C5 turbofan engines. This advanced trainer aircraft can fly at a maximum speed of 920 km with a maximum ferry range of 2,940 km. 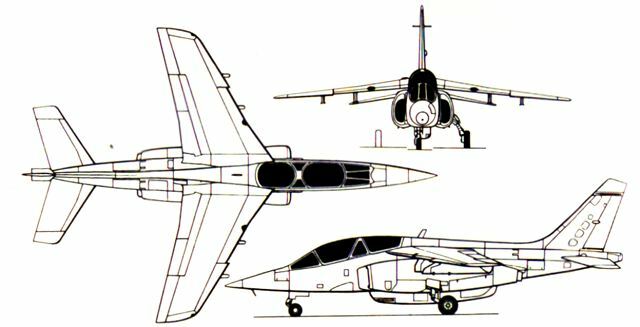 The under-fuselage armament of the Alpha Jet consists of detachable pod containing a DEFA 30mm cannon, plus two provision for two hard-points beneath each wing suitable for a variety of store including rockets and air-to-air and air-to-surface missile. 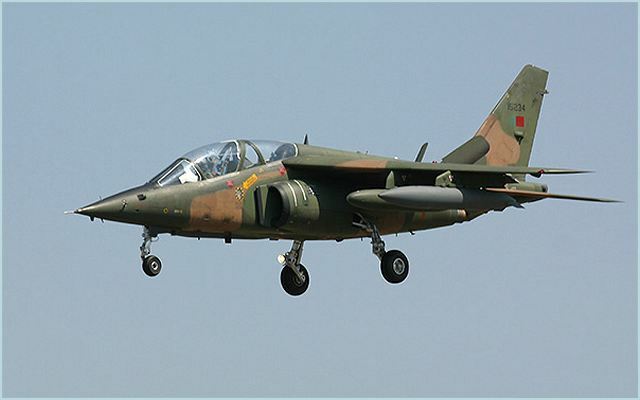 The Alpha jet can be armed with many weapons package including a 27mm or 30mm cannon, bombs, rockets, AIM-9 air-to-air missile and AGM-65 Maverick air-to-surface missile. Belgium, Cameroon, Canada, Egypt, France, Morocco, Nigeria, Portugal, Qatar, Thailand, Togo, United Kingdom.